Imagine knowing what exact frequencies work the best at detecting specific fish species: Bluefin Tuna?60 kHz, Squid?133 kHz, and Cod?175 kHz. Now imagine tuning your fish finder to these frequencies, marking the fish precisely on the screen, then catching them! With the B265 transducer connected to a tunable fish finder, you too can have a log book like a commercial fisherman. This powerhouse transducer delivers extreme target detail, bottom discrimination, and bait and game fish separation at all depths. 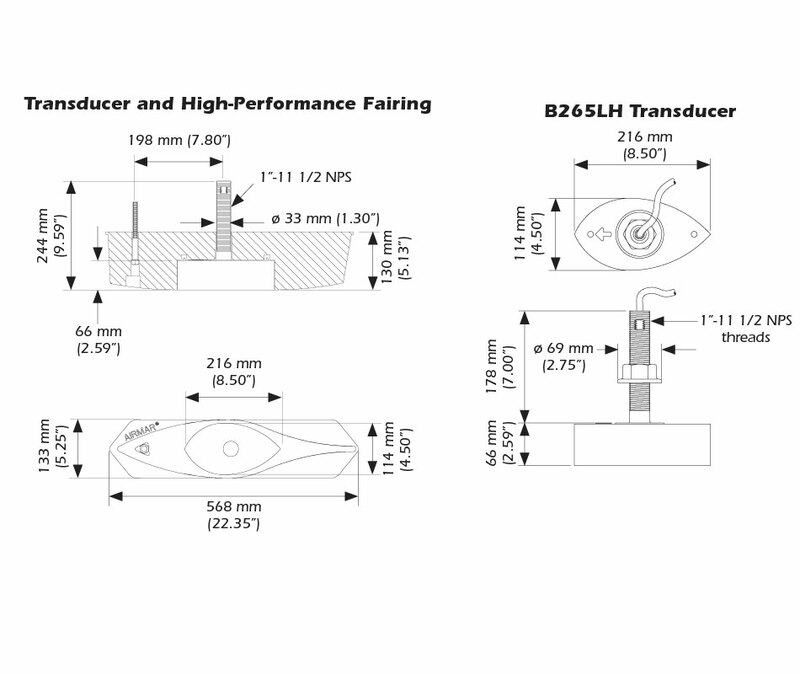 The B265LH is packed with a seven-element, low-frequency array that operates at anywhere between 42 kHz and 65 kHz. It has a wide, 25? beam that will adjust by several degrees as the frequency is tuned up or down the band. The single, high-frequency ceramic operates at any frequency between 130 kHz and 210 kHz and has a narrow, 6? beam that is adjustable by several degrees. The included High-Performance Fairing will give you broadband performance at speeds over 30 knots (34 MPH). We will leave it up to you to discover the rest of the secrets that can be unlocked with tunable, Chirp Broadband Transducer Technology.